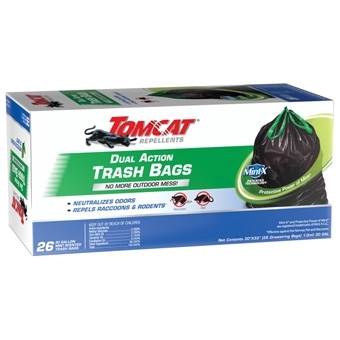 Repels Raccoons and Rodents-such as Raccoons & Norway Rats! High-quality mint essential oils that work to keep pesky rodents away. 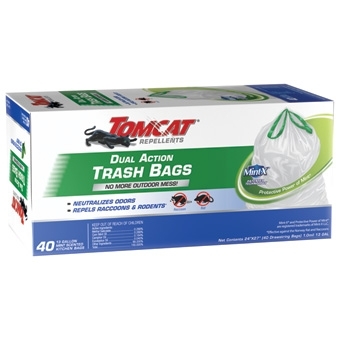 Consider using these when putting items into storage spaces such as a garage, attic, basement..etc. 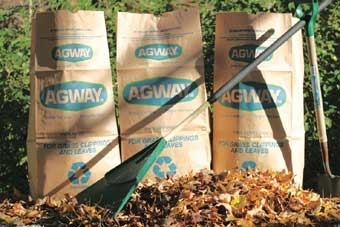 There’s a lot of mess out there, but Glad® ForceFlex® Lawn & Leaf Bags can handle it all. 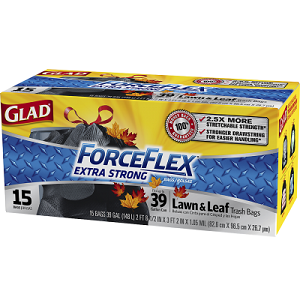 Glad® ForceFlex® bag’s Diamond Texture stretches to prevent rips and tears. Strong drawstring makes closing easy and dependable. Large bags can handle big trash loads.